Welcome to the web gallery of Sarah B. Douglas! On this site contains information about Sarah’s art lessons for all ages. Now residing in Raleigh, North Carolina, artist and art teacher, Sarah B. Douglas is available to teach individual art lessons for all ages. In her lessons, Sarah shares the skills and techniques she utilizes for her own artwork. Originally from Wisconsin, Sarah’s numerous travels plus living in various regions both overseas and in the USA influences her artwork. Sarah utilizes graphite, watercolor, pastel, pen and ink, acrylic, or charcoal in her works and lessons. ART Lessons For All Ages –perfect for those just beginning in art or those desiring to get back into art after a long break. Individual art lessons are taught in an encouraging environment with students able to learn at their own pace and interests. 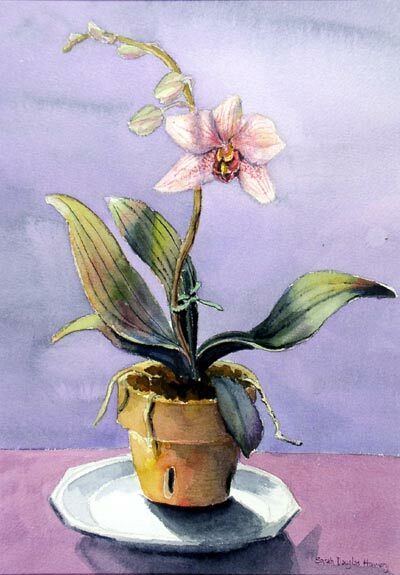 Clear, step-by-step instruction is given in drawing and painting techniques. These lessons are truly for all ages! Beginner adults appreciate the ability to learn in a comfortable setting without the pressure to keep up in a full classroom. Children are taught the same drawing and painting skills as adults but in a kid-friendly manner. Teens receive help in building an art portfolio for college application requirements. Homeschoolers can receive art history taught with the art lessons.Time slots are available throughout the week with both day and evening time one-hour lessons. Pay-as-you-go with no minimum number of lessons required. Please email or call for current rates. And, now available, web-cam art lessons! Not in Raleigh, NC? You can still take art lessons from Sarah if you have a webcam. Please contact Sarah for more information.